Have I fallen hard into the biggest trend that is the 70's? Ummm...well, yes I have. In my defense, I have always worn flares and the 70's have always been my favorite era for fashion. Have I always loved fringe? Well, no, but with a piece this free and easy to wear, how could I not fall a little? This entry was posted on Friday, April 17, 2015. You can follow any responses to this entry through the RSS 2.0. You can leave a response. 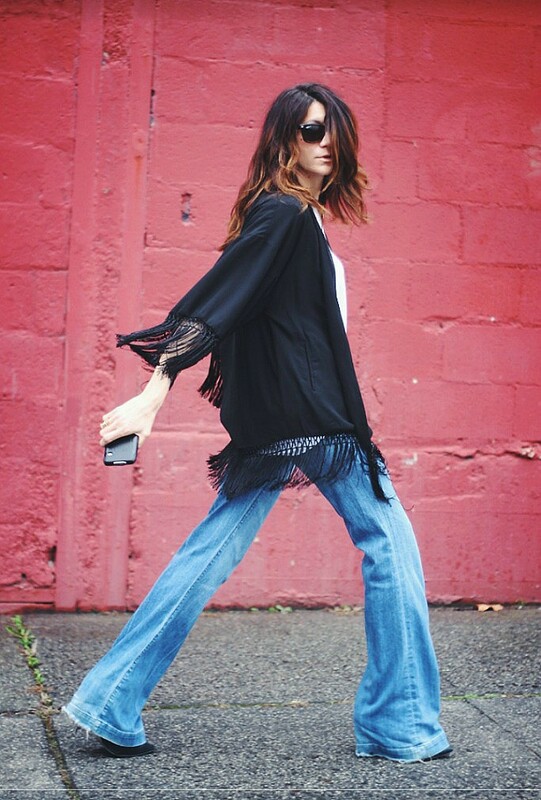 Fringe-y and fab. Thanks for sharing with Visible Monday, xo. Wow, this is such a classy, yet boho look! Love the 70s vibe! 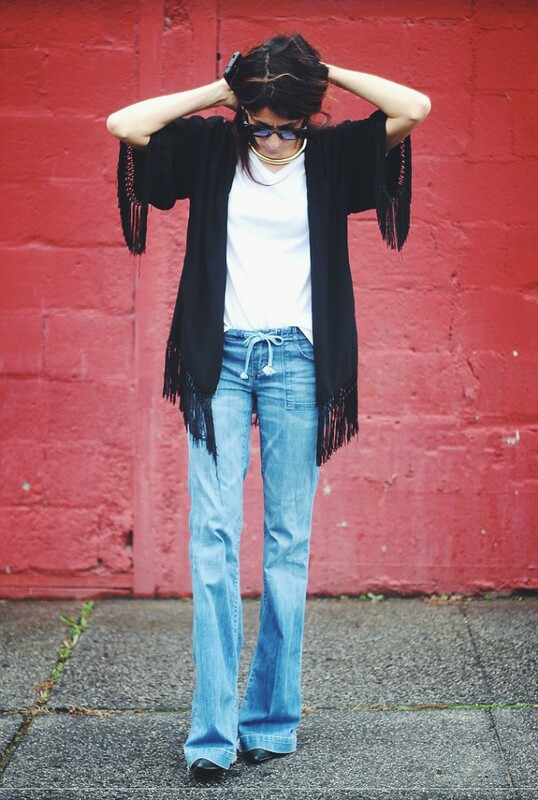 I never stopped wearing flares either so I have a few as well that I keep in rotation. 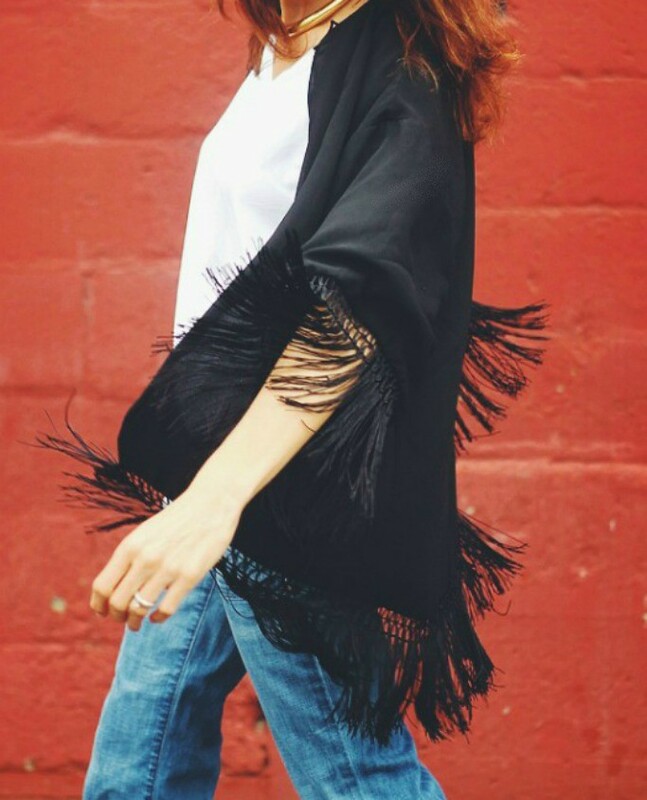 And a fringed poncho. Everyone needs one of those, right? This combination looks great! I love the relaxed attitude that it shows. i wish I had one like this in some brighter color.